This photo was taken on May 6, 2013 at 4:09 pm. The location was in Tucson Arizona in the Catalina Mountain Foothills. The "Take It!" was an easy decision. 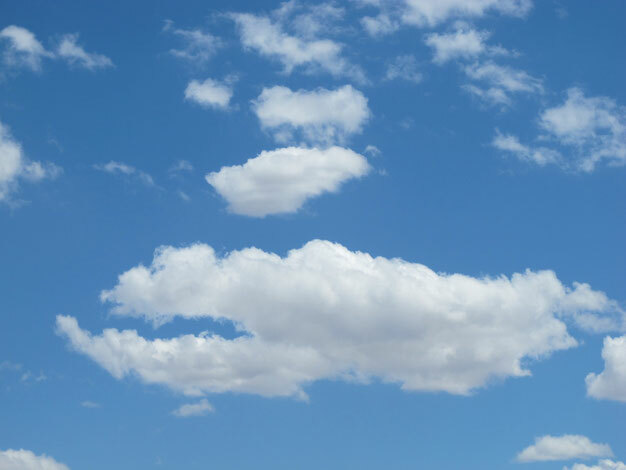 To have been presented such a recognizable image of a lobster claw in cloud form was a grand gift. There were so many clouds in the sky during my visit to Tucson - I found myself shooting skyward almost as much as I did in capturing land based images. The After Take: It is great when one can share a cloud with other people when it is clearly what is imagined. So many times when playing the game of name that shape with clouds - it is a stretch of the imagination of the finder - and maybe even more so to bring others along to see it in the same way. It is a great exercise for children to engage in this part of the game of convincing others to see a cloud their way. A great stretch of a young vocabulary as well as a way to develop the ability to share a vision. I would like to include this as a "Catch of the Day" but cannot as there were other wonderful cloud images shown to me on that same day, that I cannot wait to share. Here is hoping we all take moments in our busy days to look upward when outside and there are clouds present. Even if there are no recognizable shapes available - the taking of the time to spend with "One's Head in the Clouds" is ever so relaxing and for me - offers a sort of cleansing of the mind. HAHA! Put that cloud on a plate and suddenly its a $50 meal. Bruce, its lunch time, and now I want seafood. Is there some garlic butter clouds floating around near? That had to be a fun shot to stumble upon. Your imagination is such a blessing! This was a grand gift that I was given, to be able to share. I am so pleased that it seems to have hit the mark with so many of you. I would like to say " the best is yet to come " but this one is going be difficult to top.